One of America's founding fathers of heavy metal, Y&T tore up the rule book with classic albums in 1981's Earthshaker, Black Tiger from 1982 and '83s Mean Streak. On the road to promote their 1983 album, Y&T produce the vitriolic, high voltage guitar hedonism that made them icons of the metal genre. In the halcyon age of Motley Crue, Twisted Sister, W.A.S.P, AC/DC and NWOBHM, Y&T are amongst the gods of incendiary metal. 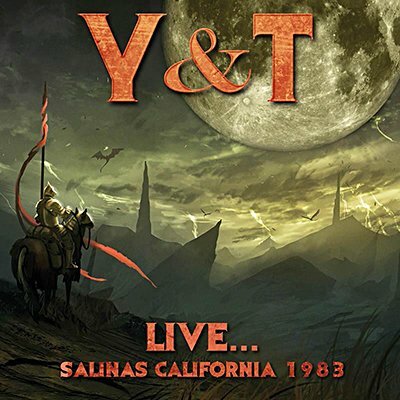 Klondike proudly presents the entire KLEL-FM broadcast of Y&T, live from the Sherwood Hall, Salinas, CA on 12th March 1983. Superbly re-mastered with background liners, rare archival photos and an excerpt from a backstage LimeLight interview with the late Leonard Haze.